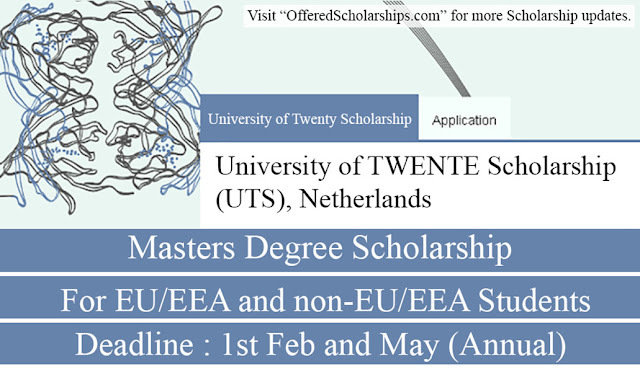 The University Twente Scholarship (UTS) is a scholarship for excellent students from both EU/EEA as well as non-EU/EEA countries, applying for a Master's program at the University of Twente. Two scholarships can be awarded to UTS recipients: Kipaji Scholarship and Professor de Winter Scholarship. These scholarships have additional requirements. Univesity of Twente, The Netherlands. The scholarship value ranges from € 3,000 – € 25,000 for one year. In case of a two-year study programme, students can receive an additional UTS of an amount equal to that in the first year when they meet the process requirements for the UTS. · You have been (provisionally) admitted to one of the qualifying UT graduate program (Please note: After completion of your application, it may take up to 8 weeks before you receive the results). · You comply with the conditions for obtaining an entry visa in the Netherlands (if applicable). · You comply with the general English language test requirement Academic IELTS 6.5 (or TOEFL iBT of 90) and an additional 6.0 (TOEFL iBT 20) on the sub score of speaking skills. · The University Twente Scholarship is a scholarship for excellent students. Typically this means that you belong to the best 5 to 10 percent of your class. Round 1 applications open on 1 October 2017 while Round 2 applications will open on 1 February 2018. In order to apply for this scholarship, you already need to be (provisionally) admitted to one of the qualifying Master programs. Applications are done online. The deadline for Round 1 applications is 1 February 2018. The deadline for Round 2 applications is 1 May 2018. 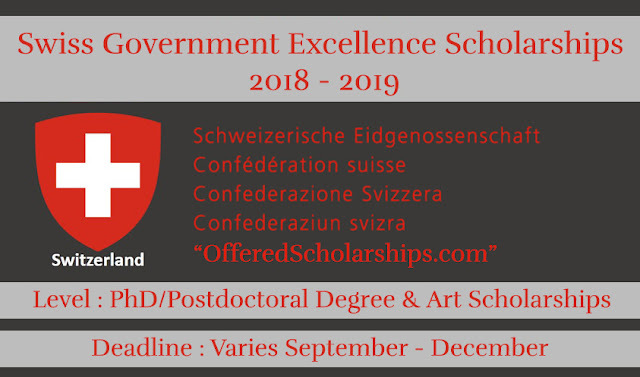 It is important to visit the official website (link found below) to start the application process and for detailed information on how to apply for this scholarship.